Following the recent passage of solar friendly bills by the RI legislature, commercial solar developers have descended upon rural areas like Hopkinton in a rush to install massive, industrial scale solar power plants in open spaces, on premium soils and in residential neighborhoods. These installations typically involve the clear cutting tens of thousands of trees, bulldozing the natural contours of the land, destroying wildlife habitat and interrupting unfragmented wildlife corridors, and surrounding the entire installations with a mandatory six foot high chain link fence. The new state and federal financial incentives for solar energy have perversely made it far more lucrative to cut down standing forests that absorb green house gases than to install solar energy panels on capped landfills, brown fields, parking lots or rooftops. As a result, the number of solar companies authorized to do business in the state has jumped from just 6 in 2014 to 48 today. The new legislation has also provided RI towns with the authority to tax the alternative energy installations at a rate of $5000 per megawatt, which has had the desired effect of tempting many local boards - including the Hopkinton Town Council - to undermine the integrity of the planning process and the authority of the Planning Board; violate local zoning ordinances and basic precepts of Rhode Island General Law; and ignore the community planning goals that are explicitly set forth in the town's Comprehensive Plan. For all of these reasons, the Town of Hopkinton is now UNDER SIEGE by opportunistic solar profiteers who are begging the town to rezone individual parcels in residential neighborhoods for their commercial use. In Hopkinton, a slim majority of distressingly compliant, hard-core pro-development Town Council members has bent over backwards to accommodate developers by voting to approve inappropriate, and illegal, SPOT ZONING for commercial solar projects in zoning districts that are restricted to residential use - NOTWITHSTANDING the fact that the town Planning Board has consistently issued adverse advisory opinions on the individual projects, after concluding that the construction of these industrial power plants in residential neighborhoods is NOT CONSISTENT with the goals of the town's Comprehensive Plan for community development. For these Town Council members, by their own admission - including, most notably, the Town Council President - "IT'S ALL ABOUT THE MONEY!" 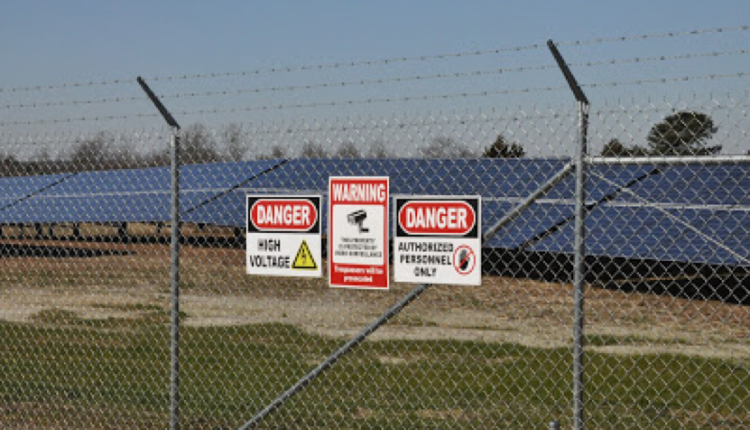 For these Town Council members, the tax revenue from the solar projects is just too good to pass up, even at the cost of ignoring the Planning Board, violating the Comprehensive Plan and bending - or breaking - the rules that apply to planning and zoning. In the past two years alone, the town of Hopkinton has received 22 petitions by solar developers to install commercial solar projects in virtually every corner of Hopkinton. The Town Council has already approved four (4) petitions to spot zone residential property for commercial use and has scheduled hearings for three (3) more petitions to rezone residential property for commercial solar installations in the near term. To date, the Town Council has not refused a single application for commercial solar energy - and many more are on the way. The Hopkinton Town Council is currently considering an application to install the largest solar facility in Rhode Island in a rural, residential zone - the 58MW BRUSHY BROOK project at an estimated cost of $116 million - and it is clear that some members of the Town Council are already salivating over the potential revenue that will accrue to the town if the Town Council agrees to carve off another piece of restricted residential property for commercial developers. For reference, total installed solar capacity across Rhode Island currently stands at 66.6 MW, according to National Grid. The Brushy Brook project alone, in rural Hopkinton, would virtually DOUBLE the current statewide capacity of solar energy. The Planning Board has already registered its vehement objections to this proposal, rejecting the petition as a particularly egregious example of "spot zoning" by unanimous vote on August 1, 2018. The Brushy Brook petition proposes to clear cut 35,000 trees over an expanse of 175 acres, on a 350 acre property, in order to install 122 acres of solar panels, replacing the standing forest with a "sea of glass," according to developer Ralph Palumbo of Southern Sky Renewable Energy. After the natural contours of the land have been bulldozed and shaped and over 100,000 solar panels have been installed, the entire installation will be surrounded by a six foot high chain link fence. No environmentalist advocates the clear cutting of trees, destruction of wildlife habitat, interruption of unfragmented wildlife corridors, possible contamination of sensitive aquifers, or the sacrifice of shrinking farm land to accommodate the installation of industrial scale solar power. This is a textbook example of SPOT ZONING to benefit a single commercial developer while severely compromising one of the core goals of the Comprehensive Plan - i.e. to preserve the rural character of our residential community. There is no commercially zoned property within miles of the installation. Approval of the project would subvert the authority of the Planning Board and the overall integrity of the planning process and would constitute a blatant violation of various state and local prohibitions against such spot zoning. But the price is right for some Town Council members since it is estimated that the town will accrue approximately $230,000 per year in additional tax revenue by lifting the prohibition on commercial development - just for this parcel - and carving off another piece of of the Future Land Use Map to a commercial developer. And the developer has now promised to throw in an additional inducement to lubricate the approval process, at the last minute, offering to underwrite the cost of demolishing the old Ashaway Elementary School after reading about this issue in the local newspaper. The Town Council has embraced the prospect of this additional "sweetener" - which offers the prospect of an excellent public relations hook in favor of approval - with enthusiasm. 4) Housing Goal #1 - Hopkinton will be characterized by safe, secure and attractive neighborhoods. Through this petition, we are urging residents in Hopkinton to SUPPORT the efforts of the Planning Board: a) to preserve the rural character of Hopkinton; b) to faithfully adhere to the stated goals of the town's Comprehensive Plan; and c) to defend the integrity of the planning and zoning process for our town. We SUPPORT the continuing efforts of the Hopkinton Planning Board to preserve the rural character of the Town of Hopkinton; to faithfully adhere to the stated goals of the town's Comprehensive Plan; and to defend the integrity of the established planning and zoning process for our town. We further SUPPORT the resolute refusal of the Planning Board to aid, abet or condone the Town Council's approval of recent petitions by commercial solar developers to amend the Comprehensive Plan and rezone residential property for commercial use, which constitute blatantly improper examples of illegal "spot zoning." We APPROVE the Planning Board's efforts to resist the rising tide of rampant commercial solar sprawl in rural, residential areas, such as Hopkinton and its efforts preserve the rural character of our town for current residents and future generations. 4) various state laws, including the prohibition against "spot zoning" of residential property for the benefit of the property owner - or to increase town tax revenue - and to the detriment of other property owners. We urge the Town Council to DESIST with any further pursuit of tax revenue from commercial solar operators through this mechanism of improper rezoning, to the detriment of neighboring residential property owners and the rural character of the community. We further urge the Town Council to categorically REJECT all current and future petitions - including the BRUSHY BROOK PETITION - to amend the Comprehensive Plan and spot zone rural, residential property to accommodate commercial solar developers. The Keep Hopkinton Country! Say No to Spot Zoning and Industrial Solar Sprawl petition to Hopkinton Town Council was written by Hopkinton Citizens for Responsible Planning and is in the category City & Town Planning at GoPetition.